Sunshine Corner is a 5 minute stroll to the beautiful beach with the village a 10 minute walk and the world famous Company Shed a 15 minute walk. The cottage is completely self contained with underfloor heating in the conservatory opening onto sun decking and enclosed lawned garden, situated in a quiet area with off road parking. Bike hire is available on request. Beach Hut hire is available locally for your stay. Private entrance with a key safe access. Sunshine Corner is within a 5 minute walk to the beach with beach huts and cafe. 5 minutes from the sea and a 15 minute walk along the beach to the boats and famous oyster restaurants. 15 minute walk to the heart of the village with all amenities. 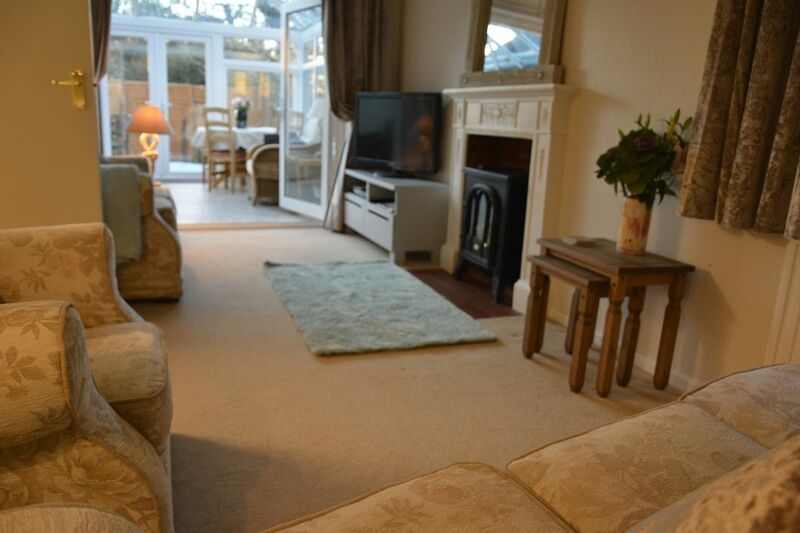 A distinguishing feature of this property is its conservatory which is light and warm if winter sun has been shining, and there is decking outside for summer, in a small garden. Birds come to the feeder and are a pleasure to watch. The interior has been furnished very comfortably, with a thoughtfully equipped kitchen and a bathroom with a heated towel rail which makes all the difference in winter. The bed is well-upholstered. The overall impression is of care and imaginative welcome. The situation on unique Mersea Island is ideal for visiting fabulous nature reserves, particularly nearby Fingringhoe Wick . The island is doubtless very crowded in summer, but I was there in March .